New for 2017, CCM has re-engineered their Extreme Flex line and has released the brand new Extreme Flex III E3.9 Goalie Leg Pad which is one of the lightest of all incarnations of the Extreme Flex models. The Extreme Flex III pad has uncompromised stability and explosive powerful pushes which enrich the goaltender’s game. 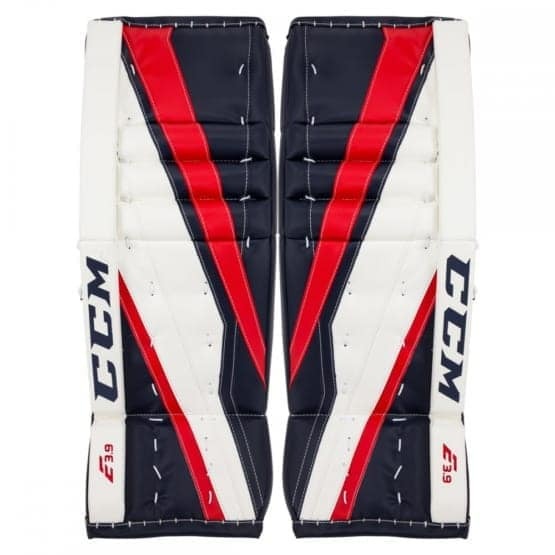 The EF3 pads have a new construction which gives the graphic a cleaner look and designed to enhanced durability. 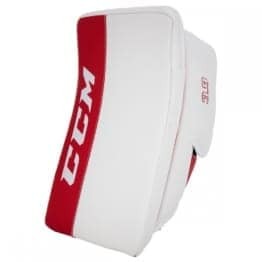 In addition to the construction and graphic, the usage of CCM’s new proprietary ‘SpeekSkin’ synthetic stamped material creates a new level for style and function. 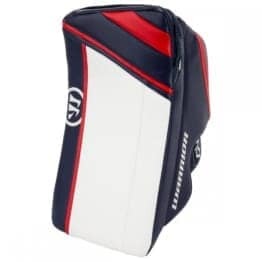 It is designed to better than weave material and is meant to increase the ease of sliding and glide that a goalie needs during a game to get into position faster. Continuing on the build of the pad, the EF3 core has been re-engineered to have optimized weight distribution for all movements in the crease. The outer gusset has been dramatically thinned out on the top portion of the thigh to allow the pad to hug the leg and sit closer to the body. 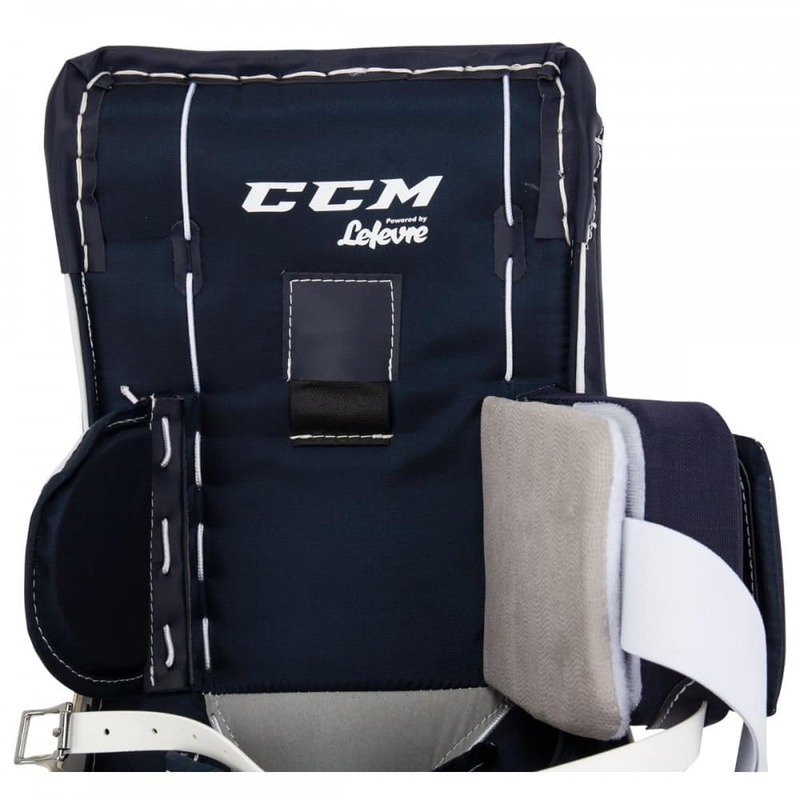 In the knee channel, the velcro strapping system has been refined to include easy modifications for goaltenders that wear larger knee pads and want to angle their knee lock down to the calf. 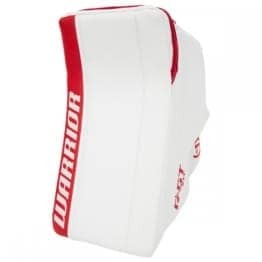 The new removable outer knee cradle wrap has a simple system where the outer Velcro knee lock can be kept laced in for the traditional style goalie who wants to keep the knee lock running directly behind the knee. 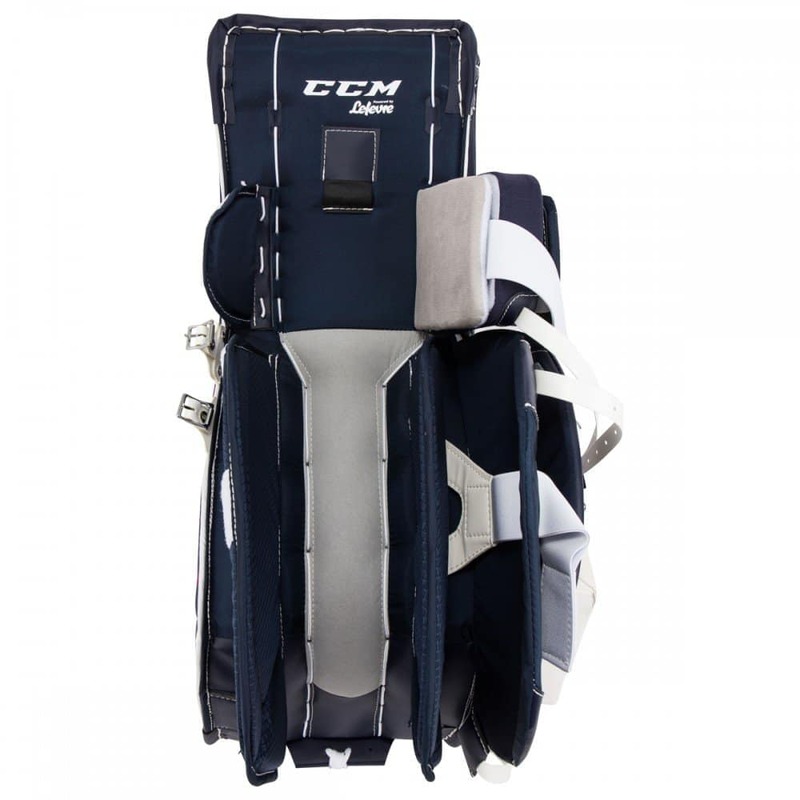 Or the outer knee cradle wrap can be unlaced for the goaltender that might need more room in the knee cradle for larger knee pads or for those who want the pads to hang down more towards the five hole when the knee lock is angled down to the calf. This removal of the outer knee cradle wrap creates a very clean look in the knee area, free of any pieces which can catch on the pants or hinder a drop into the butterfly. While still keeping the traditional fit of the Extreme Flex line, the pad will come with a Tight Fit leg channel system with 1 calf strap above the calf and a redesigned calf Velcro. 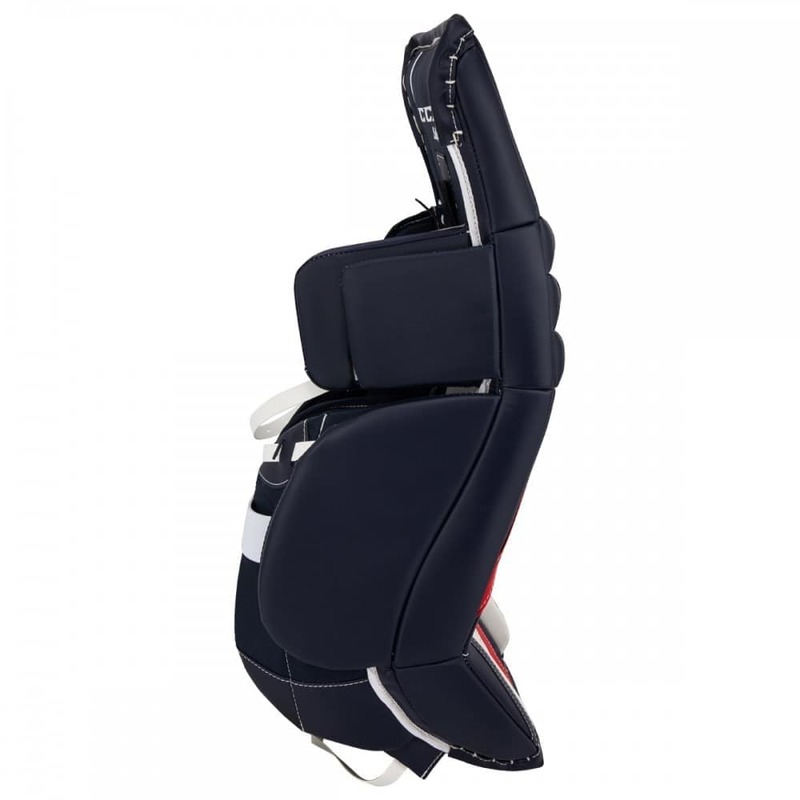 This tight fit allows the pad to sit close to the leg but still rotate down into the butterfly position without issue. 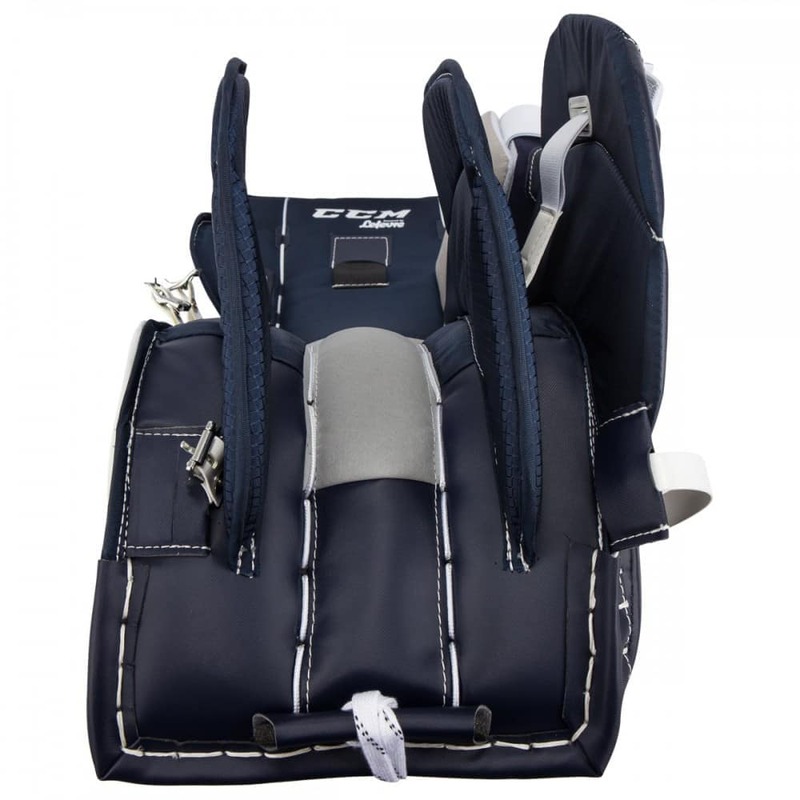 To further aid in comfort, the buckles and straps are also made of a new synthetic nylon material which is pressed thin, hole-punched and coated, creating the illusion of a traditional leather strap but without the weight and potential wear the leather straps have. 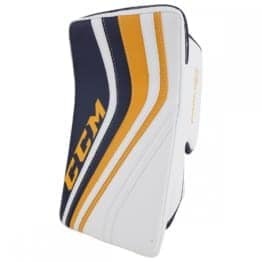 If you are an Intermediate-Level goalie wanted the best CCM has to offer, look no further than the CCM Extreme Flex III E3.9 Intermediate Goal Pad.